Absolute Hunter Jumpers, LLC. is a full service equestrian training facility located in Sammamish, WA . minutes from I-90, & SR-520. 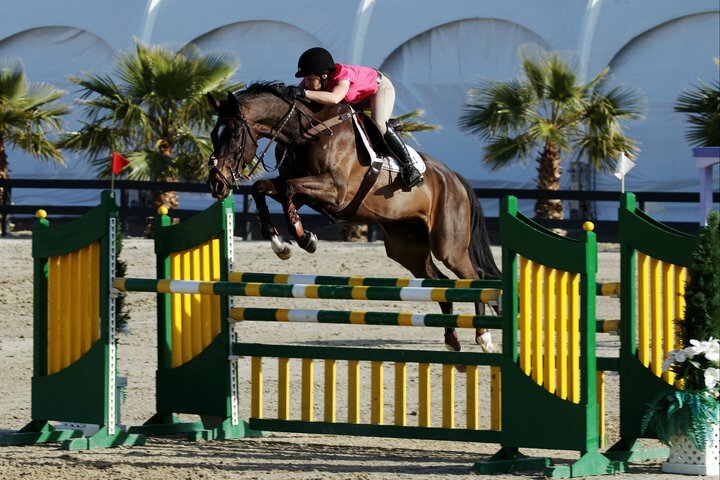 Absolute H/J is easily accessible, located at the immaculate RockMeadow Equestrian Center, a first-class equine facility with indoor & outdoor rings, large stalls and hot walker. Our goal is to bring a fun, friendly, and safe environment to our students and horses, developing horsemanship, equine knowledge, and riding skills. We tailor each horse and rider pair to their own individualized training program, allowing them to build confidence and perform to the best of their ability at home and in the show ring. Accomplished equestrian trainer Lisa Shane has been horse crazy since childhood. At age 7, Lisa got her first pony. After a few years learning to handle her naughty pony she got her 1/2 Arab 1/2 quarter horse, Dixie , who she would end up showing in the jumper ring with the great Bob Woodington as well as Brad Laird. She has been on the competitive show circuit as a competitor for over 30 years now. Lisa first started teaching and training at Rockmeadow Equestrian Center in 1993. She took some time off when she moved out of state to raise her daughter and attend college. After a few years, while still in Utah, she started training and teaching again. Then in 2008 she moved back and began training at Rockmeadow once again. How much is your boarding and training or just boarding.